Higher education Affirmative Action policies have become legal and political battles across the country. In the June 2014 issue of the Islamic Post, the article titled Brown vs. Board of Education: Has America Progressed or Regressed? highlighted the obstacles to a higher, education particularly for people of color and lower income families. The article brought to light how the changes in admission policies, such as Affirmative Action programs, are creating additional challenges for the latter populace to have access to state-managed colleges and universities. 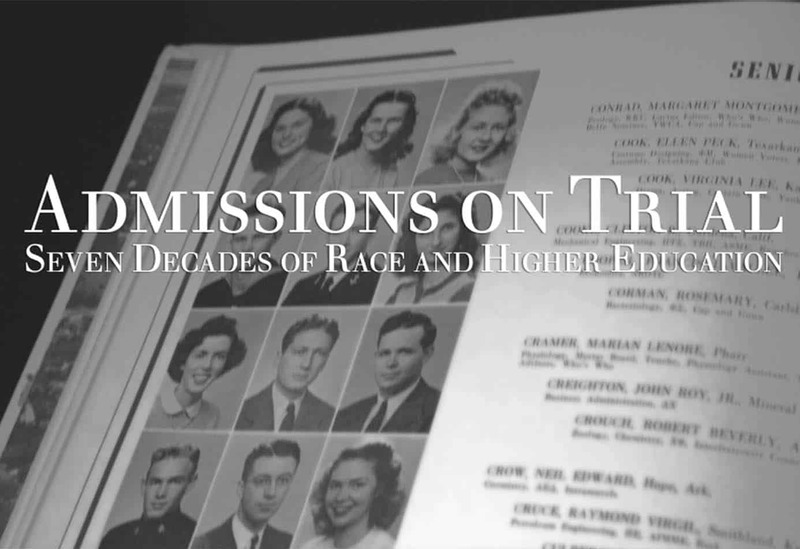 Affirmative Action policies encourage colleges and universities to use race and ethnicity as heavily weighted factors in admission of Americans of African descent and other minorities into the school – an effort to level the uneven ground to receiving an education, while increasing the diversity of the student population. These policies have become legal and political battles across the country. As of early October, the U.S. Supreme Court is back in session and preparing to rule on some of the most important and contentious issues in American law. The following is one such case to watch during the coming months. The University of Texas at Austin, UT, asserted that its use of a holistic admissions process, considering race as one factor for admission, creates a diverse student body that benefits the entire university. In October 2012 the Court heard oral arguments over the use of race in undergraduate admissions at Texas’ flagship state university. Eight months later, in June 2013, the Court issued its anticlimactic opinion, which simply kicked the case back down to the lower court for further proceedings. According to the majority opinion of Justice Anthony Kennedy, the US Court of Appeals for the 5th Circuit had erred “by deferring to the University’s good faith in its use of racial classifications,” but “in fairness to the litigants and the courts that heard the case,” Fisher should “be remanded so that the admissions process can be considered and judged under a correct analysis.” The correct analysis the Court had in mind is the standard of judicial review known as strict scrutiny, which says that when the government employs racial classifications, that use of race must 1) Serve a compelling government interest and 2) Be narrowly tailored to achieve that compelling interest. Several months later, the 5th Circuit Court issued its decision on remand, again upholding the school’s actions. Shortly after that, the Supreme Court took up the case once more. In the coming months, the Court is expected to deliver a definitive ruling on the constitutionality of UT’s affirmative action policy. This case allows the Supreme Court to reexamine Grutter; it will have far-reaching implications for university admissions policies and racial demographics in schools throughout the United States.